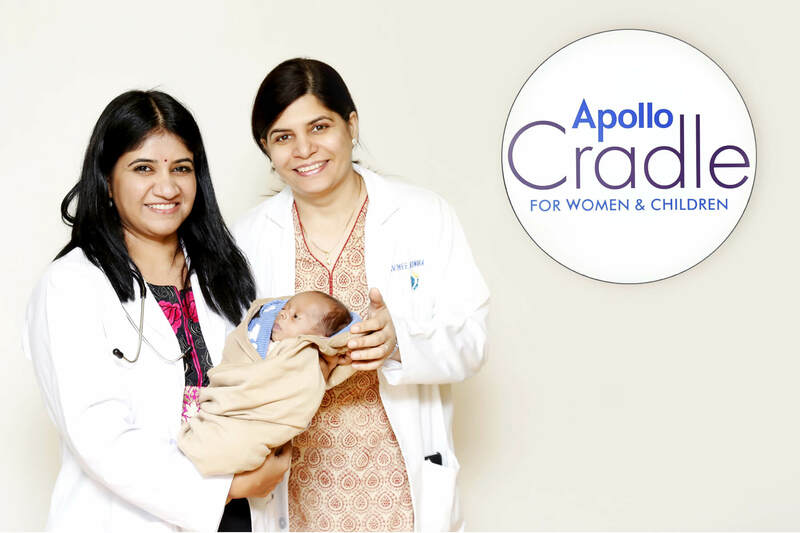 It is time for celebrations at Apollo Cradle, Jubilee Hills as we usher in the new year and give a warm farewell party to our youngest survivor. The Neonatal Intensive Care team is elated that after a long stay of 3 months in the NICU, B/o Sulochana, now weighing 1.8 Kg is going home for the first time with his family. B/o Sulochana was born as a tiny preemie, weighing only 600 gm at the time of his birth, and born 3 ½ months premature (6th month of pregnancy). Mrs.Sulochana had to undergo an emergency C-section as her blood pressures increased suddenly, she was about to throw a seizure, and blood supply to the baby was severely compromised, a condition called REDF. His growth during pregnancy was severely restricted as his mother had high blood pressures, and he was small for his age. There was no time for completion of a complete steroid course before delivery in v/o his mother’s sudden deterioration. With this kind of a clinical scenario, it was a quite a challenge for the NICU team in Cradle, to salvage the tiny baby. B/o Sulochana had a delayed cry after birth, for which his airway was secured immediately after birth. As his lungs were not fully developed, he was given a medicine directly into his lungs to open them up and he was put on a ventilator. As his lung condition improved, he was gradually weaned and removed from ventilation after 2 days. He was started on Intravenous nutrition soon after birth to supply him with adequate proteins, calories and nutrients to gain weight, as his clinical condition suggested he would take a long time to tolerate milk feeds. Indeed, it took the NICU team more than a month to establish his enteral feeding. To facilitate Intravenous nutrition, several central lines were placed and great care was taken to prevent infection and monitor for any abdominal complications during feeding, which fortunately, he had none. At around 2 months of NICU stay, Baby Sulochana developed a severe viral pneumonia for which he had to be ventilated again. His clinical condition rapidly deteriorated, his blood counts and platelets fell down rapidly. He became bloated as his proteins fell down to alarming levels. He was started on broad spectrum antibiotics and was given platelets, blood, albumin and growth factor transfusions to support his hemodynamics. He improved with supportive therapy in 5 days and could be successfully removed from the ventilator. From then on, his condition steadily improved and he put on weight gradually under the watchful eyes of the NICU team. Fortunately, despite his challenges before and after birth, he remained resilient. His brain scans, heart scans and eye check-ups are normal for his age. His family was always a constant support system and they had complete faith in the treating team. His mother was always by his side and gave us expressed breast milk, which helped him tide over many complications. As he grew older and reached 1.6 kg, his mother was trained in feeding and handling him and he was shifted to the room with his mother, to give her confidence. The day has finally come when the entire Cradle team is giving him a warm farewell, as he goes home for the first time with his family. It is indeed a moment to cherish and we look forward to seeing him grow into a young boy as he visits us for his routine follow-up visits.